IT Professionals in possession of a good level of IT qualifications, such as MCSE, can expect to earn an average salary of around 40,000 to 50,000 in Ireland. With this in mind, its definitely worth investing in expanding your skillset to gain industry recognised certifications, especially in the Microsoft operating systems range. Microsoft certifications are one of the most popular in-demand skills employers are looking for in new IT employees. This training course will arm you with all the skills and knowledge necessary to design and implement a Windows Server 2012 Infrastructure. Youll be guided through the course step-by-step and have the opportunity to take part in interactive labs. Youll have access to student workbooks and pre and post test questions to make sure youre fully The course can be studied online, at a pace that suits you. This course maps to the Microsoft exam 70-414*, which is the fifth of five exams needed to gain the MCSE Server Infrastructure certification. 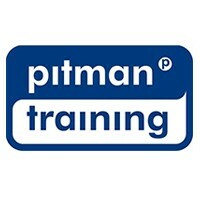 For information about Pitman Training Centre (Kerry), please visit our Training Provider page on Corporatetraining.ie by clicking here.